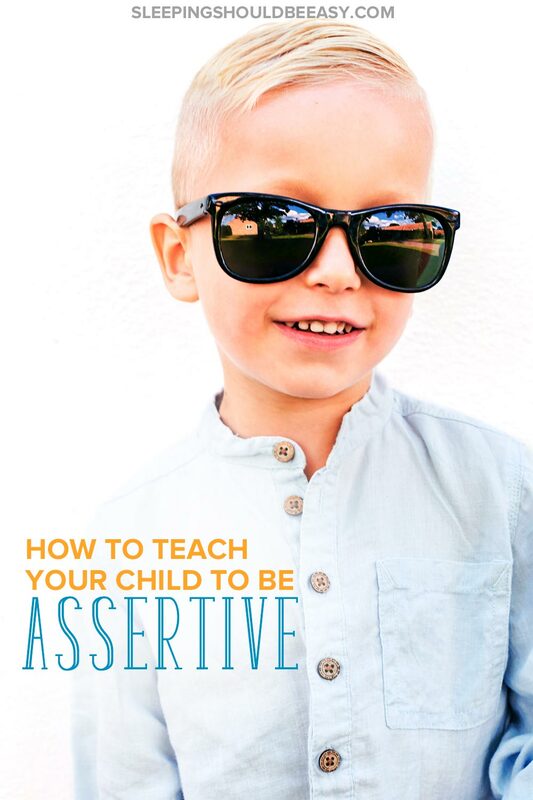 Learning how to teach your child to be assertive is an important task for parents. Discover effective techniques to help your child assert himself and voice his opinions, whether to peers or adults. At the park, an older child noticed my twins playing with sticks they had found on the ground. “I want that,” he said, pointing to one of the sticks my son held in his hand. “Here,” my son replied, handing him the shorter stick. The boy didn’t relent, and pressed for the longer stick. At that point, I did something I knew I shouldn’t have done: I stepped in. I regretted stepping in right away, especially when I know the benefits of letting kids resolve their own social conflicts. But as a parent, my heart stung at the thought of an older child demanding something from my little guy. As parents, we tread a fine line: we want our kids to be able to stand up for themselves and others, to ask for help and voice their opinions. But we also don’t want them to be aggressive, pushy, or bossy. Confusion. Your child might not understand what another child is saying. Maybe they don’t know what they’re supposed to do, or what’s expected of them. Fear of doing something wrong. Many kids keep quiet when they don’t or shouldn’t have to because they’re afraid of making mistakes. Avoiding attention. Not all kids want attention, and some see assertion as drawing too much attention to themselves. Lack of experience. Kids, especially those who’ve only dealt with adults, may never have had to assert themselves or make their own case before. So, how can you teach your child to be assertive, all while respecting their temperament? My son recently told me he was going to give his grandma a cherry pit he’d saved from lunch so she could plant it in her yard. He wanted her to have yet another fruit tree, and cherries seemed like a good addition. As promised, he handed the seed—carefully wrapped in cloth—to his grandma, who proceeded to plant it straight in her yard. Neither she, my husband, nor I mentioned the unlikelihood of a tree ever sprouting. Any of us could’ve explained how difficult it is to grow a tree straight from a fresh seed. Instead, we allowed his ideas to grow and even encouraged him to explain his reasons. Your child might approach you with far-flung ideas, from why she thinks Saturn has rings to how long it’ll take to climb a mountain. Don’t shoot them down or explain why it’s not possible. She’ll arrive at those conclusions on her own, and now isn’t even the time for her to find out. Instead, she needs your support, to know you’ll listen and take interest in what she has to say. 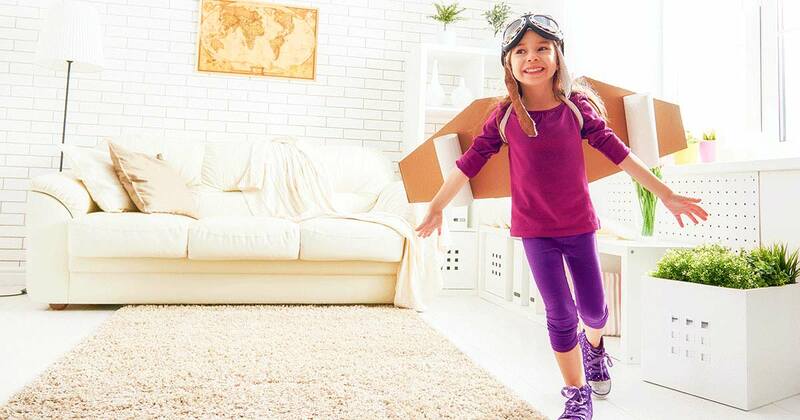 Read more about encouraging your child’s interests and passions. Want to encourage your child to speak up? Ask him for his opinion. Dinnertime makes for a fantastic opportunity to encourage your child to assert himself. Hold a round table, leading discussions and asking for his thoughts just as you would an adult. Have him elaborate on his favorite part of the day, or why he loves a certain book or toy. If you have other children, be mindful that all of them have a chance to speak by addressing them one by one. This is especially important if your other children tend to be loud or dominate the conversation. As heads of household, we tend to take charge and speak for our kids, many times out of necessity. But it doesn’t always have to be that way. Spot opportunities where your child can speak for himself instead of relying on you to do so for him. For instance, your child can tell the waiter his order at a restaurant, or ask his teacher to open the classroom door because he forgot his backpack. He can tell the dentist which color toothbrush he likes, or ask the store manager how much a toy is. What happens if your child comes to you crying because he got into an argument with another child? Use the opportunity to practice appropriate responses. Describe the situation, including how your child responded. Start by asking him what he thinks he could do next time. If he can’t think of anything or is too young to do so, ask if you can make a few suggestions. Your child will feel prepared for next time and reassured knowing that disagreeing is fine and acceptable. Growing up, my family had a custom of greeting everyone that arrived at a family party. If an aunt or uncle walked through the door, you were expected to get up and give them a hug or kiss. It didn’t matter how well you knew this person—you simply gave everyone a hug. I’ve broken that tradition with my kids. While I still teach the value of respect, especially of elders, I also don’t force my kids to hug and kiss others, especially when they resist. I want them to learn that their physical space and personal boundaries are protected—that they have a voice in what is okay or not okay to do. To foster respect and politeness, I encourage them to develop genuine relationships with other adults in their lives. Now, instead of forcing them to hug and kiss, they do so all on their own because they truly love these people. And for people they don’t know (or even the times they’re not in the mood), I find other ways to encourage greetings. High-fives, waves, or even postponing the hugs and kisses once they’ve warmed up work well. Forcing hugs when kids don’t feel like it sends conflicting messages. We want them to assert their personal boundaries, and then turn around and don’t respect it. Instead, allow your child to hold her ground, especially when it comes to her boundaries. Boundaries extend beyond physical ones, too. If your child feels down and wants time and space to be alone, don’t let others try to cheer her sadness away. Respect her need to be alone without forcing your own agenda on her. 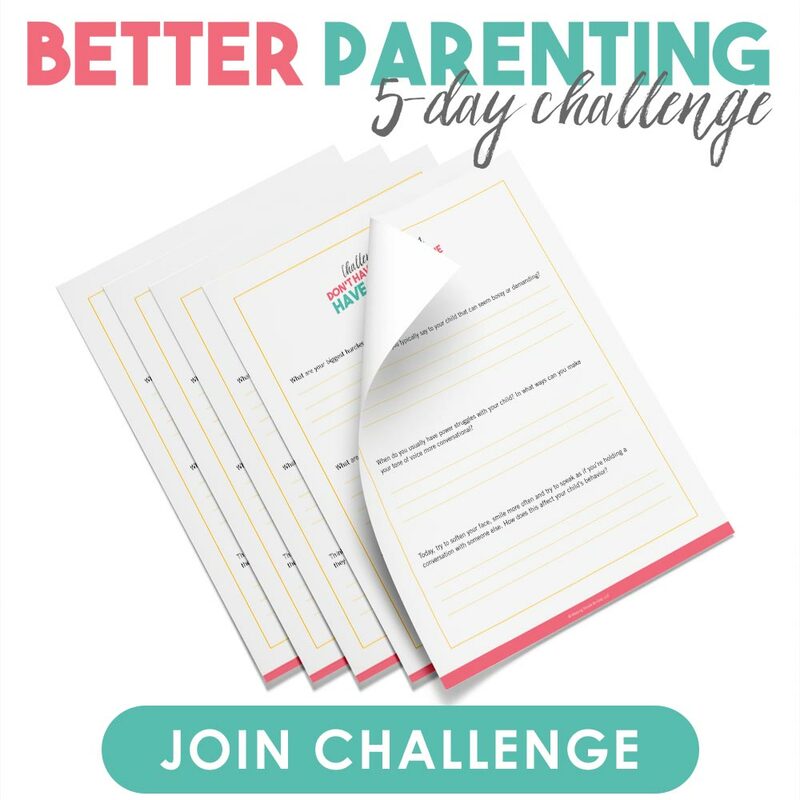 Does your child’s strong-willed personality challenge you? As frustrating as it can be to argue with him, having strong opinions isn’t a bad thing. Praise him for believing so strongly about the topic before suggesting different ways to say it. Sometimes, we’re too quick to label strong personalities as bad, especially if they overshadow those around them. Instead of pushing them aside as bad, recognize that these are desirable traits that can be honed and corrected, not shunted. Read more about raising a strong-willed child. Having strong opinions is a desirable trait that can be honed and corrected, not shunted. Difficult feelings like anger, sadness and jealousy are sometimes brushed under the rug. We see them as emotions that are better off not existing, favoring instead more pleasant feelings. Problem is, we all experience a variety of feelings, including difficult ones. Suppressing them in our kids can send the wrong message that they should put up a front or shy away from certain emotions. Instead of suppressing these feelings, acknowledge that they’re normal and will pass, just as they do with everyone else. Knowing he’s welcome and normal to feel what he does will help him be more confident. Read more about why you shouldn’t dismiss your child’s emotions. Suppressing emotions can send the wrong message that kids should put up a front. We tend to make most of the decisions for our kids, as we should. But sometimes we take it too far and forget that sometimes they can benefit from an opportunity to choose. Giving them that choice is a simple but effective tip on how to teach your child to be assertive. For instance, give your child a choice of picking any book he likes from the library. Let him choose between two shirts to wear to school, or whether to go to the park or the pool. Choices allow him to exercise his free will and encourage motivation to follow through. The trick is to be okay with either choice your child picks. If offering a choice between the park or the pool, make sure you’re actually fine with going to either one. Learning how to teach your child to be assertive is an important task, one that can take practice and time. You can do this by supporting your child’s ideas and asking for his thoughts and opinions. Provide plenty of opportunities for him to speak for himself. And when conflict arises, talk about different ways he could’ve responded so he knows what to do next time. You’ll also want to protect your child’s personal boundaries, whether physical or emotional. Don’t shy away from his strong opinions or suppress difficult feelings he may have. Finally, give him a choice when appropriate—this reassures him that his voice matters. Discovering how to teach your child to be assertive will help him stand up for himself and voice his opinion—even when an older child demands their stick at the playground. Liked these tips on how to teach your child to be assertive? Share the article on Pinterest and Facebook!